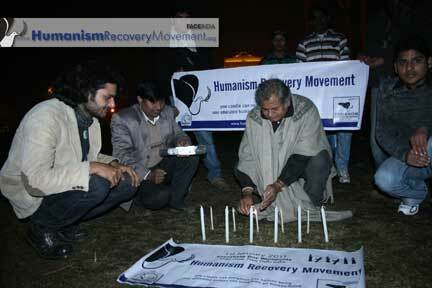 Humanism Recovery Movement is an intellectual, academic and cultural movement based on the recovery, purify and imitation of Indian contemporary and future society. It has been planed to purify and to make India’s future more bright with human values, HRM is a mission of FACE INDIA (Foundation for Art Culture & Education, Trust) to be began officially from 1 January 2011in India and to be continued to flourish until the making an impact not only Indian society, to all over Asia and World. We need education to improve a person’s knowledge. If a person has a good education, he can have the power to choose the way he can use his knowledge, he could either use it for the good of others or for destruction. As well as we need human values based education also to live our inside human being, who makes ourselves and our country live with love, happiness, growth and global. Education is necessary so that one’s knowledge into its maximum potential and it makes an individual a true intellectual. Education tells a man on how to make a decision and how to think. However, students must understand that education is needed for the development of oneself, which is vital for the society. For both individuals and the nations, education is the key to the creation, application and the spread of knowledge, which will result to the improvement of the calm, energetic, transparent and successful human being. An assortment of different art, culture and educational activities will become the tools toward the recovery of humanism. HRM will start with the intellectual activities in different school, college, institute, organizations and individual level where they will participate with their act and ideas. Then the recovery process will start with different workshops, seminars, rallies, exhibitions, talk shows, performances and other activities. Now HRM will organize workshops, seminars, rallies, exhibitions, talk shows, performances and other activities to improvise the human values and to give India a healthy mind youth. 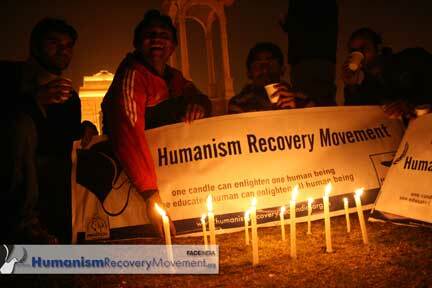 FACEindia invites volunteers to become a tool to recover the humanism. HRM wants all of you to make Indian society batter and pure, FACEindia want our HRM humanists as educationist, teachers, students, leaders, educationist and the whole society who want to see a human value/equality based environment, so every individual and their pedagogical theory and practice they devoted attention to development as well as to intellectual formation so we can purify and can think for a human ground based society. Education is one of the most important systems wherein history of a country, its culture and religion and education is the only way to unite the people and the country.